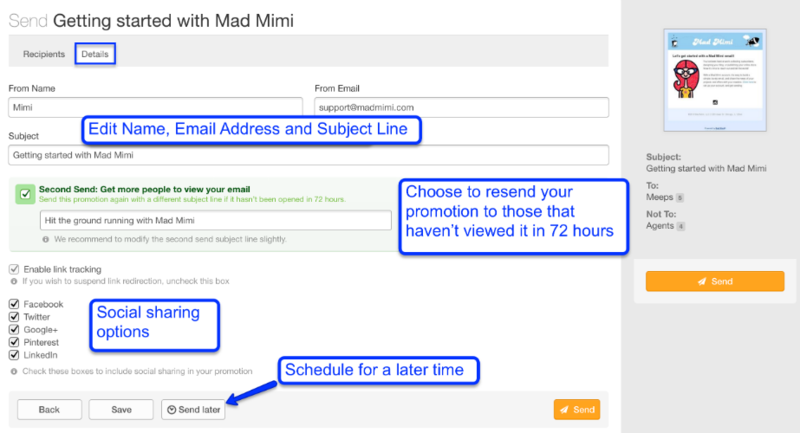 Find your promotion in the Dashboard. Then click the send button. Mimi guides you through the next few steps. Don’t worry! Your promotion will not send until you confirm everything on the final step. Note: The “Not To” selection will prevent any sends to the contacts in those lists, even if they are members of a “To” list. It’s like a temporary suppression list. If you don’t need to suppress any lists, just use the “To” option. 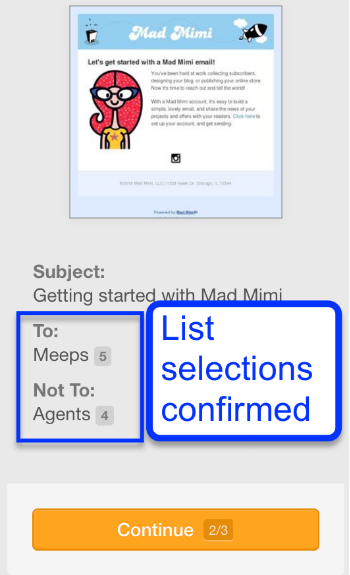 Mimi confirms your list selections on the right side of the page. If everything looks good, hit continue. Now confirm your send details. – Select social sharing options. The social share options will add a like button, +1, or tweet link at the top of your promotion. Click continue again. Don’t worry, your promotion will still not send yet! Here’s your final chance to look everything over. 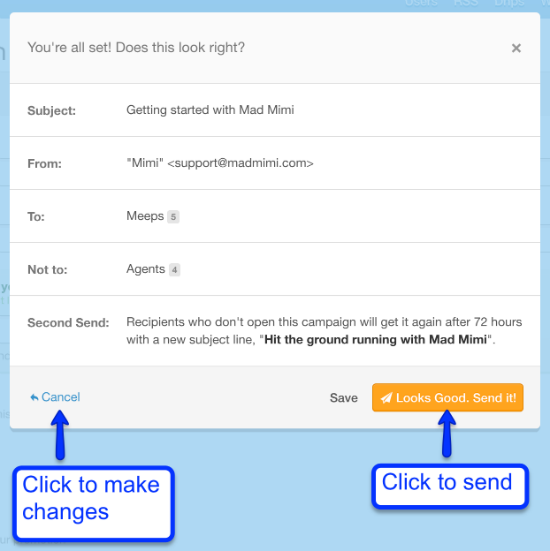 Give your details one last look and click the send it button if you’re ready–it’s finally sending now! If you need to make a quick change? Click Cancel to edit. Where Do I See Mailing Stats? Where Can I View My Old Promotions? Can I Watch A Video Walk Through Of Sending?